Career Education can be rewarding – personally and professionally. Like all things worthwhile, getting an education will challenge you and requires your commitment. At American Institute, you won’t deal with those challenges alone. They will be your partners every step of the way, from your first day of classes, through your search for a job after graduation. 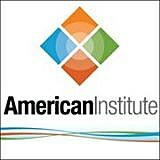 At American Institute, they strive every day to help you get closer to achieving your goals. Nothing makes them happier than seeing students graduate and helping them find a job in their field. Your first step is to speak with their Admissions staff to help you decide if American Institute is the right fit for your education.